If you’ve visited this page and become curious about my fiction writing, there’s an exceptional opportunity to get a taste of it this week with not one, but two sales promotions from the ebook platform Kobo. Until Sept. 23, 2018 my e-anthology BEYOND: The Stars is free through Kobo. 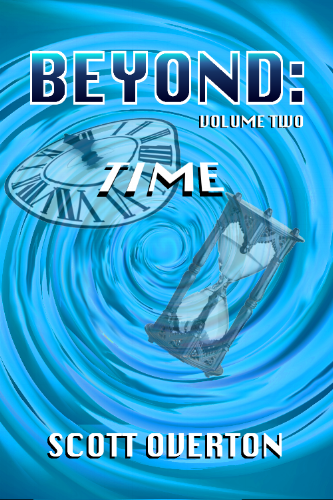 It features three space-themed stories (and if you like it you should also take a look at my other e-collections BEYOND: Time and BEYOND: Technology, or the print compilation BEYOND: Time, Technology, and the Stars which features fifteen stories). Before I turned exclusively to science fiction and fantasy, my mystery/thriller novel Dead Air was published and nominated for a Northern Lit Award in my home province of Ontario, Canada. It not only has an insightful story mixed with lots of action and suspense, it’s also a rare insider’s view of the radio business (I was a broadcaster for more than thirty years). This weekend, until Monday Sept. 24, 2018, Dead Air is a page-turning bargain at half-price—just $2.49 from Kobo. In my last blog post I announced the publication of BEYOND: Stories Beyond Time, Technology, and the Stars, a print collection of fifteen of my science fiction and fantasy stories, some of which had been previously published in magazines and anthologies across North America, and some not. For extra interest (because I enjoy that kind of thing myself) I also wrote a bit about the first five stories’ origins, intent, and publishing history. So here’s a little about the rest of the collection. “Tartarus Rising”: I’m a huge fan of disaster stories and apocalyptic fiction, so I was delighted when this story was chosen for an anthology called Doomology in 2011. Such high-stakes stories provide an opportunity to show the best and worst of humanity as nothing else can. Alien invasions are a dime a dozen, but what if there was a race of beings sharing the planet with us, yet clever enough to remain hidden all these centuries even from our scientific instruments? I’m pretty sure the idea for “Tartarus Rising” came from a traumatic childhood event of mine involving a mysterious stranger who suddenly appeared at a window of our house on a dark night when my parents were away. If you have a frightening memory that haunts you, write a story about it! “Marathon of the Devil”: I’d read an article about the famous Marathon des Sables in Morocco, a grueling race that makes you question the sanity of the participants! Naturally, being an SF writer, I imagined such a thing on an alien planet. But why put yourself through something like that? Because of a deep desire to be somebody special? Just for fun, I decided to have things work out right by going all wrong. “Body Of Opinion”: We think of memory as being a function of the brain exclusively, but there has been lots of research into genetic memory, especially lessons and behaviours learned by one generation and passed on to the next through genes. What if other memories are encoded into our DNA? Combine that thought with ever-improving organ transplantation techniques and you end up with this story about a man who discovers that his new body he thought was cloned was actually “previously owned” and harbours a dark secret. A premise like that cried out for a noir fiction approach, which was a lot of fun to do. “Democracy”: Our current political systems are so badly broken that we end up getting terrible leaders elected by much less than half of the people who voted. Yet we live in an era unlike any other in history, when virtually every citizen of developed nations has some access to the internet. If we wanted to, we could have true democracy, in which everyone could vote on every important issue of government. That’s what I’ve created in the fictional country of Devis Varta, although with tongue in cheek. Because, humans being humans, our lofty dreams almost never turn out the way they should. “Saviour”: It’s easy for me to see the influences on this one. The movies Deep Impact and Armageddon both came out in 1998 as the world worried about asteroid strikes that could devastate the planet. But by the time I felt the urge to write my own story about saving the world from a giant killer rock, I’d seen the 2006 movie Sharkwater about how humankind is decimating the shark population and endangering the entire ocean ecosystem. Humans are a threat to pretty much every form of life on Earth these days. So a real hero might not do the expected. “Node Of Thought”: I’ve done a lot of research into the mind…consciousness…the nature of thought—it’s been at the centre of a number of my novel plots. There’s no one who really knows what thought is, what consciousness is. There are only people who think they do. One day, embroiled in thought (as they say) I asked myself: what if thought has a physical form we know nothing about? Could we trail it behind us like hairs and dandruff? Could it be gathered like cosmic dust by some powerful source of energy? What would happen if you encountered something like that in deep space in a spaceship that responds to thought commands? Nothing good! “The Cleansing”: Disaster again, inspired by the worrisome population cycles we’ve witnessed recently among creatures like frogs, bats, and especially bees, on whom we depend for so many of our food crops. Rouging (now more often called roguing) is a process of removing plants from crop fields when they’ve produced unwanted mutations. In coming years I believe we’ll be able to engineer crops to cull themselves to maintain their genetic purity. But what if, by pure bad luck, all of the crops were to enter such a “die-out” phase at the same time? “The Rift”: Although I consider myself a spiritual person, this is my only story that really reflects that in a big way. And, because I’m a science junkie, I struggle to reconcile theory and experimental evidence with belief. Not surprisingly, that takes my mind in strange directions. One editor rejected this story because he thought it was too much like a Star Trek episode. I take that as a compliment! “Hurricane”: I’m all in favour of renewable energy—solar, wind, tidal—and if we could harness the energy of hurricanes we’d hit the mother lode. Perhaps as much as the total worldwide generating capacity of humanity, in one storm! Writing a story about that, you just have to place your protagonist right in the thick of things, especially if he hates to fly, which gave me an excuse to research the amazing crews who willingly enter such hellish conditions in Hurricane Hunter aircraft. Plus, as I speculated about what would happen, I realized that I had the answer to one of the greatest occult mysteries of them all! 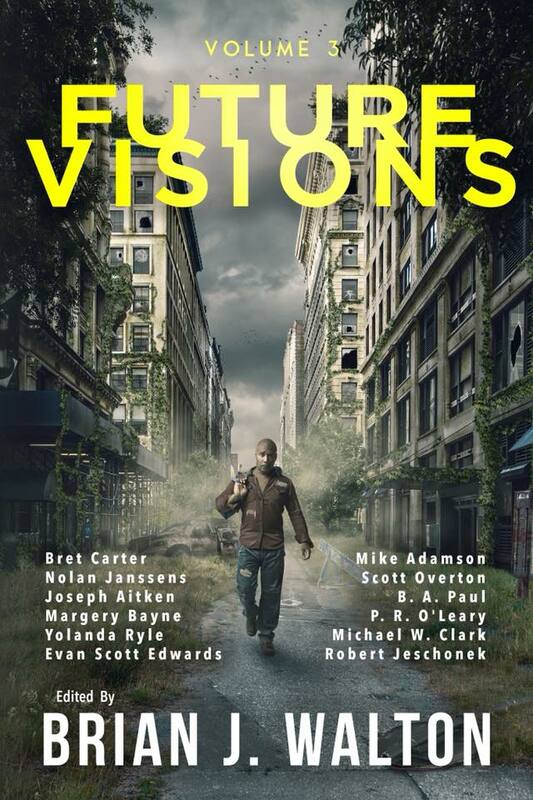 “Once Upon A Midnight”: Some years ago my good friend, prolific author/editor and all-around-nice-guy Mark Leslie Lefebvre issued a call for SF stories inspired by works of literature. I came up with one, and Mark liked it, but that anthology project didn’t come to pass. That was OK because some months later it was accepted for an anthology called In Poe’s Shadow (2011). 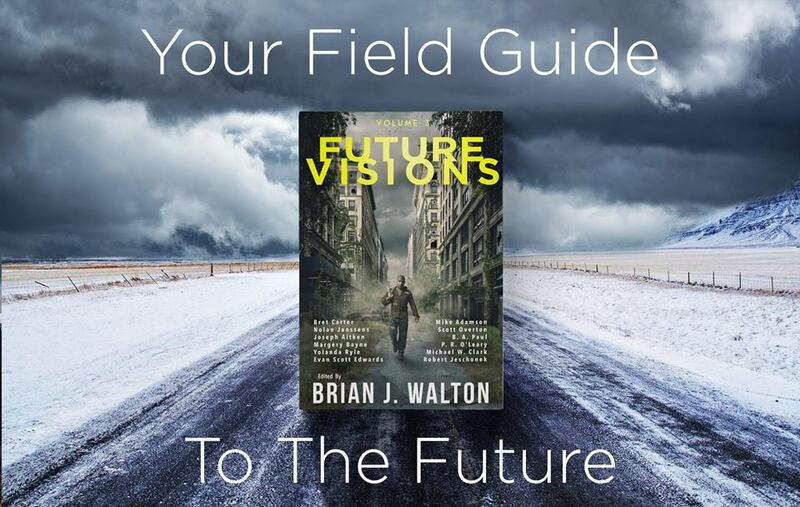 Fast forward a few years, and Mark was invited to edit an edition of the well-respected Tesseracts series of anthologies and chose to resurrect his literary-inspiration idea. He also still wanted my story. So “Once Upon A Midnight” got a second life in one of Canada’s most successful SF franchises (Tesseracts 16: Parnassus Unbound) and I was thrilled. Deliberately over-the-top, it’s black humour with a dark warning at its core. Once again, you can buy BEYOND: Stories Beyond Time, Technology, and the Stars through Amazon or Barnes & Noble in the US, or in Canada through Chapters/Indigo or Amazon.ca, or via many online outlets worldwide. Or if you're devoted to your favourite independent bookstore, ask them to order it through the book distributor Ingram. Have a great read! BEYOND STORIES NOW IN PAPERBACK! Over the past couple of years I’ve made fifteen of my science fiction and fantasy short stories available in affordable e-book form (the e-anthologies Disastrous!, Body Of Opinion and other stories plus the series Beyond: The Stars, Beyond: Time, and Beyond: Technology, can all be purchased through my bookstore). But I know that a lot of readers are still devoted to physical books. So I decided to gather all of those 15 stories into one tasty paperback. 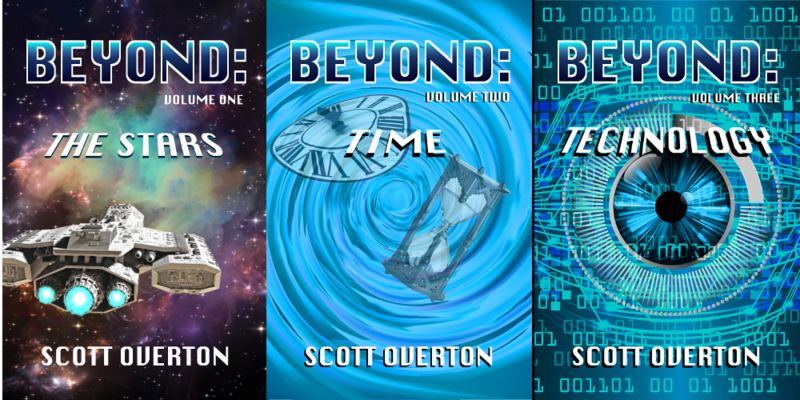 BEYOND: Stories Beyond Time, Technology, and the Stars is now available to buy through Amazon and other online retailers. Your favourite independent bookstore can also order it through the book distributor Ingram. It’s 362 pages of thoughtful and imaginative fiction that I think any SFF fan will love, but one thing I didn’t include (and maybe that was a mistake) was an Afterword explaining how each story came about. Lots of readers enjoy those—I do too. So here, for what it’s worth, is a brief look at the stories and my reflections on them. “No Walls”: This wasn’t my first story sold but it was the first one to make it into publication, in the Canadian magazine Neo-opsis Issue #18, so it will always have a special place in my heart. I even named my publishing company after it (lots of wider meaning, after all). As a fan of H.G. Wells’ The Invisible Man, I hit on the variation of a man who suddenly gains the ability to walk through walls. But what real benefit could such a gift provide, except to a criminal? Or a secret operative. The story was rejected by editors a few times, and I realized that it needed to be darker, grittier. So if you’re squeamish, I apologize for the torture scenes, but without high stakes there’s no high drama! “Shakedown”: My first science fiction novel manuscript is an SF thriller called The Primus Labyrinth, inspired by the 1966 movie Fantastic Voyage about a submersible and crew shrunk to microscopic size to travel through the bloodstream of a scientist and save his life. I don’t think shrink rays will ever be possible, so I wanted a more realistic way such an adventure could take place. My novel is very different from the movie, and my literary agent is currently gauging interest among publishers. But I originally considered self-publishing it, and thought that getting a prequel story published would help promote the novel. “Shakedown” is that prequel, about my prototype nanoscopic submersible and its first pilot, and the question: could a human mind ever cope with reality at a microscopic level? It was published in the anthology Canadian Tales of the Fantastic (2011). “The Long Commute”: Most time travel stories focus on going back to a single momentous event and putting all of history at risk. But what if time has a kind of inertia instead, and it takes many small changes to have an impact on the timestream? Would there be people whose job was to do that every day? I was intrigued by the possibilities of mixing a mind-bending concept with a daily routine. I also borrowed a character’s name from the family of a US president at the time, but then decided that a more overt link would be too corny. “Lockdown”: It’s a huge expenditure of resources to support criminals in prisons, but the public must be protected. The answer? A device that temporarily paralyzes a parolee if he or she even thinks of committing another crime. Mind you, that would put the criminal at the mercy of passersby, and I have a feeling that could get ugly (as the story shows). That was the focus when I first wrote “Lockdown” but, as with “No Walls”, there needed to be more drama. So I threw in a dash of revenge for seasoning. “A Taste Of Time”: This one could not be more different from “Lockdown”. It’s a contemporary fantasy story about an old woman with sad memories and a cheerful young girl with an insatiable craving for wild blueberries. I’ve spent many happy hours picking wild blueberries myself and, knowing that the bushes can pick up flavours from the soil and surroundings (as wine grapes do), I speculated about what other things such berries might impart. The story was not only published by On Spec magazine (#88 vol 24 no 1 June 2012) accompanied by a feature author interview, but, to my delight, was also chosen for On Spec’s 25th Anniversary anthology Casserole Diplomacy and Other Stories. Talk about being in great company! There are ten more stories in the collection and I'll write about them in a few days. In the meantime, go to Amazon or Barnes & Noble, or in Canada to Chapters/Indigo or Amazon.ca. Or if you're devoted to an indy bookstore, ask them to order it through the book distributor Ingram. Enjoy! The charge to publish continues! Shon Howard and others like him go to work every day to reverse the ravages of climate change, pollution, and other evils. His daughter’s life depends on it. Because in Shon’s world, mistakes of past centuries can be corrected by visiting key moments in time. As long as he doesn’t get caught. Gabby Dufour hates the blueberries that grow over the site of her home town, destroyed in a fire decades ago. Then young berry-loving Amanda comes to visit, with inexplicable knowledge about the town, and Gabby is forced to wonder if there’s more to blueberries than meets the tongue. (First published in On Spec #88 vol 24 no 1, August 2014.) ** This story's kind of different, but good enough to be chosen for On Spec's 25th anniversary anthology Casserole Diplomacy. The crew of a Hurricane Hunter aircraft is assigned to monitor an experiment designed to collect the awesome energy of a powerful storm. When the project succeeds too well, nowhere is beyond its destructive reach. However you choose to buy it, I hope you'll love these stories. Volume Three BEYOND: Technology will be published soon, and then a print-on-demand anthology including all of these stories and more. 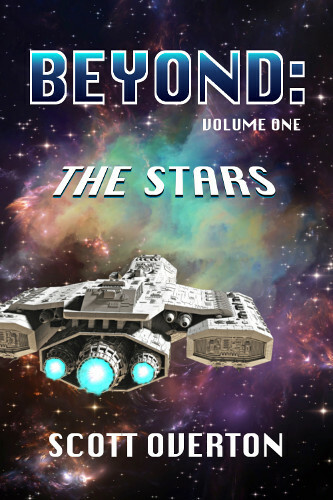 BEYOND: THE STARS VOLUME ONE OF THE SERIES IS HERE! As promised in my last post, I've now published the first of my BEYOND series: collections of SFF short stories, three stories per volume and each on a theme. BEYOND: The Stars offers three space adventures. A spaceship pilot on a solo mission between the stars begins to see visions of other people. Are they trace thoughts from others who’ve passed that way? It’s not just an academic question when the ship’s computer starts to obey commands that aren’t his. In a death-defying marathon on a desert planet, Eli Marone has managed to get lost. It’s now a race for survival, especially when the barren world might not be so lifeless after all. Twenty-seven years after a reckless experiment created a vast rift across the galaxy, a survey ship’s crew encounters a being with strange abilities and an even stranger disability. What they learn will test every belief they’ve ever had. 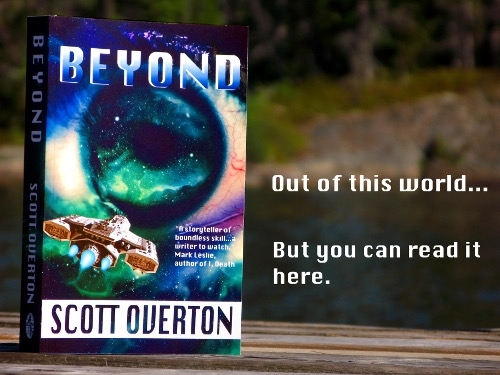 You can purchase and download BEYOND: The Stars directly at my Bookstore here on the site, or at your other favourite ebook retailers (if it's not available there yet, try again in a day or two). I'm very pleased to be able to make these stories available to readers for the first time. 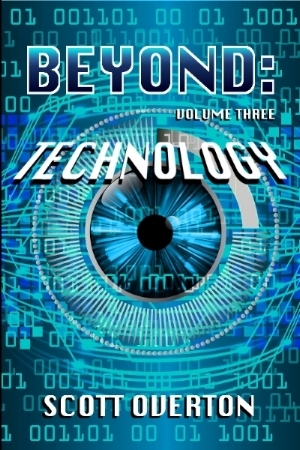 Volume Two BEYOND: Time will be published in a week or so, and Volume Three BEYOND: Technology about a week after that. For print book lovers, I plan to put the collected stories into print form within the next month or two. UPDATE: BEYOND: The Stars is now 'live' at Amazon, Kobo, Barnes & Noble and other outlets, and will soon be in the iBooks store. These days I put most of my writing focus on SF novels, trusting my agent to find a publishing home for them. But many of my short stories have found homes over the years. Sadly, when I decided to check the links on my Short Stories page recently, I discovered that a lot of my published stories are no longer available. Of course, I've also written some that have never been made available to readers. I've decided to change that. In the coming weeks, I'll be releasing nine of my SFF short stories (some previously published, some not) in ebook anthology form, collected by theme. 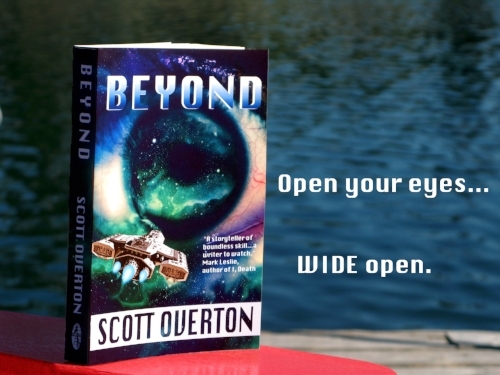 Each volume of the Beyond series will offer three stories. Volume One will be related to Space Travel, Volume Two involves Time, and Volume Three will explore Technology. I'll make them available through my webpage Bookstore, but also at your favourite online store. If you still prefer to hold a print book in your hand, don't worry. My plan is to put all of these stories, and a few more from other e-anthologies, into one volume that will be available by print-on-demand through most major online outlets. Hopefully before the end of June, in time for summer reading! Earlier this month lovers of audiobooks had a chance to win a free download of a compelling mystery thriller. My award-shortlisted novel Dead Air is now an audiobook, narrated by me (because I was a radio broadcaster for thirty-five years—I kind of know my way around a microphone). It’s the gripping story of a radio morning show host who’s marked for death by unknown enemies and his struggle to face an unthinkable situation. Reaction to the audiobook has been gratifying, and I’d like to spread the word to even more potential listeners—and readers too. So I’m going to do it again. Give you a chance to win the book, that is. But this time, with some bonuses. Here’s how it works: when you sign up for my newsletter on my homepage www.scottoverton.ca before the end of October 2016 you’ll be entered into a draw to win one of ten free downloads of the Dead Air audiobook from Audible. But if you don’t listen to audiobooks and would rather read Dead Air on your own, just let me know. I’ll contact the ten winners and give you the choice of receiving the audiobook or ebook version of Dead Air. You get it in the form you’ll enjoy the most. In fact, if your household includes an audiobook lover and a dedicated ebook fan, I’ll give you both versions! It’s as easy as filling out the signup form, and I give my solemn promise that I won’t give your email address to anyone else or spam you myself—you’ll only get news about my books and career when there’s some solid news to tell. But here’s another bonus: If you also invite someone you know to enter the draw, and they do (and they tell me it was your idea), then both of you will be given two entries—a double chance to win the draw. I think it’s a pretty sweet deal. So if you’re looking for some absorbing reading—or listening—enter the draw now on my homepage www.scottoverton.ca and tell your friends and family. Because good reads should be shared.